Spark scientific curiosity with these science fair projects for 8th grade that make learning about STEM (Science, Technology, Engineering & Math) fun! 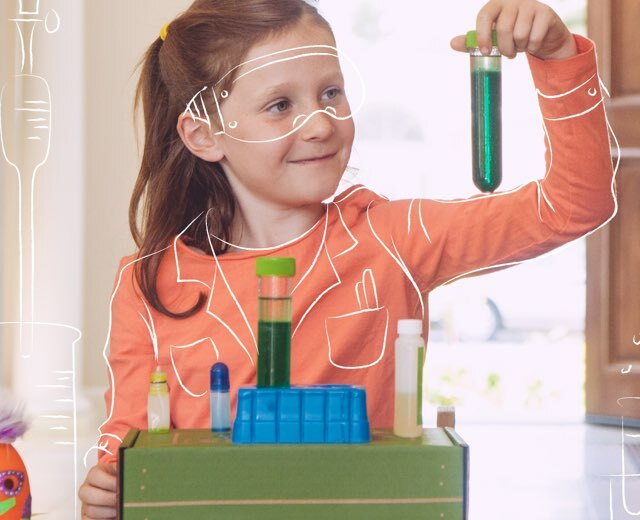 Our team of researchers and scientists have developed easy-to-follow experiments that help older kids explore chemistry, physics, and tons of other scientific topics. An electric current creates a magnetic field. In fact, a coil of wire like you made here creates a magnetic field very similar to the magnetic field of a plain old bar magnet. Now, the neodymium magnets have their own magnetic field, and they’re sitting right in the middle of the wire’s magnetic field. And just like a couple of fridge magnets, those magnetic fields interact with each other. That’s where the push that propels your train comes from. The neodymium magnets get pushed along by the magnetic field of the coil of wire. Make a fiery black snake rise from the ground with this exciting experiment! Using simple household ingredients, learn how a burning mixture of baking soda and sugar can create a stunning carbon snake. Your carbon sugar snake is the product of three chemical reactions that are all dependent on heat. The first of these reactions occurs when sugar combusts (burns) in the presence of oxygen. This produces carbon dioxide gas and water vapor (also a gas), which pushes more of the sugar/baking soda mixture upwards. Some of this additional sugar heats up but doesn’t have access to any oxygen, so instead of burning, it undergoes thermal decomposition, producing solid carbon and more water vapor. This solid carbon now gives the snake some shape, and also gives the snake its black color. Lastly, the baking soda also decomposes in the heat, producing solid sodium carbonate, and carbon dioxide gas and water vapor. Altogether, these three reactions produce both the solid components of the snake (carbon and sodium carbonate) and hot gases (CO2 and water vapor) that expand and inflate the snake up and out of the sand bowl. The sand in this experiment doesn’t chemically react with anything in the growing snake. Instead, it evenly distributes the heat from the burning lighter fluid to the sugar and the baking soda, ensuring a slow, steady burn and the growth of a long carbon sugar snake. Discover how music creates vibrations you can see using salt and a portable speaker! Then try experimenting with different genres of music to see which ones make the salt dance more. Speakers, like your bluetooth speaker, produce sound by creating vibrations in the air. Normally, we only hear these vibrations, and we can’t easily see them. Plastic wrap, though, is lightweight and thin enough to vibrate in response to the sounds coming from the speakers. These vibrations move through the plastic wrap unevenly, pushing and shoving the salt around in interesting patterns. As a song progresses, these vibrations change, and the salt moves as if it were dancing. If you can find a YouTube video of a pure tone (like a single, sustained note), observe what happens to the salt when you play that tone through the speakers. A pure tone will create a consistent, unchanging vibration in the plastic wrap. Instead of dancing around, the salt should collect in places in the plastic wrap that aren’t vibrating, making patterns that depend on the frequency of the pure tone. Try a few other pure tones, one at a time, to see some other interesting patterns! Learn about electrochemical cells and make a battery using pennies, felt, and a salt water solution. Then, power a digital clock with it! Things start up when the zinc begins dissolving into the salt water solution. That chemical reaction leaves behind some extra electrons in the undissolved zinc metal. Those electrons could be used to make electrical power if they had somewhere to go to, since electricity is just moving electrons. On the other side of the salt water, the copper reacts by giving some of its extra electrons to the hydrogen in the water. So the zinc side is producing electrons, the copper side is getting rid of electrons… what would happen if you connected them? The electrifying answer is — you get electricity! Electrons zoom from the zinc side over to the copper side, powering any electrical things they pass through along the way. A single set of these two metals and their electrolytic solution is called a “cell.” Sandwich a bunch of cells together, and you get more electrical power from more electrons moving around. The pile of cells you’re about to make—called a “Voltaic pile” after the scientist who invented them, Alessandro Volta—is the basis for the batteries you use every day. Have you ever noticed how plants grow toward the light? 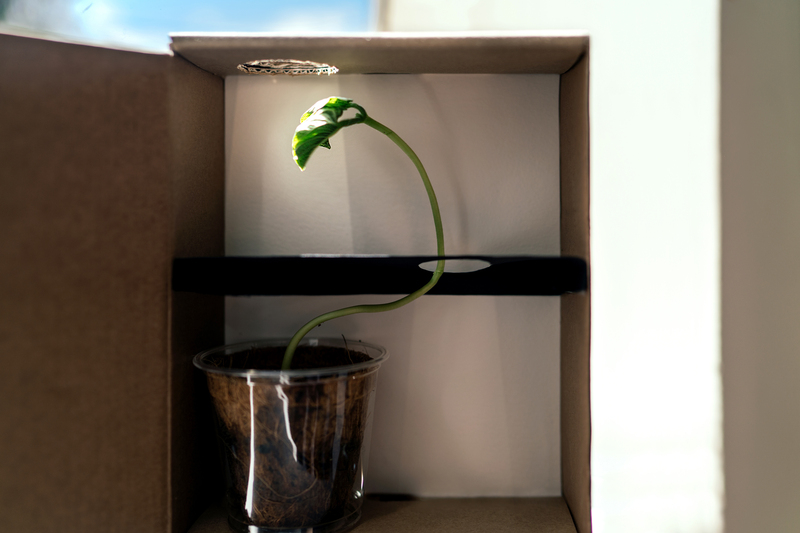 Build this simple light maze, and watch the plant grow around the obstacles to reach the light! Try experimenting with different mazes and see how the plant reacts. Plants grow toward the light as a way of generating more energy through photosynthesis. So how do the plants grow toward the light? Plants contain a hormone called auxin, which causes plant cells to grow longer. Plant cells on the shady side of a plant contains more auxin hormones, making the plant bend toward the light as the cells in the shade elongate.